Hiya guys! If you follow me on Instagram or Facebook then you've seen a glimpse of what I'm going through health wise. I'm so behind on sharing content with you and it's beyond frustrating. Let's not dwell on any negativity and instead let's enjoy what we all love, beautiful indie polishes. Today I am sharing the latest collection from Leesha's Lacquer titled the Unearthed Collection. This indie is a new-to-me brand, so it's really a first impression review as well. 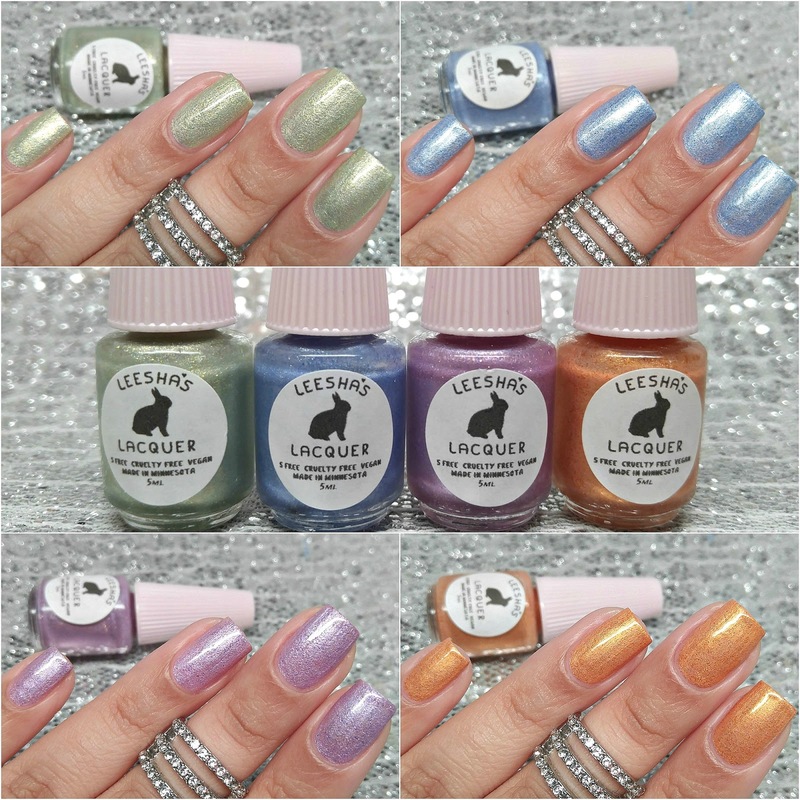 Leesha's Lacquer has been around the nail community since late 2013 and her polishes are 5-free, cruelty-free, and vegan friendly! Unearthed Collection by Leesha's Lacquer is now available for purchase individually as well as in a set. Each polish retails for $7.00 for a full-size (12mL) and $4.00 for a mini-size (5mL). The entire collection can be purchased in full-size for $25.00 and in mini-size for $15.00. Now let's get to the swatches! Moss Grown can be described as a metallic pearl green with gold specks and a slight shimmer. Starting off this review with my favorite hands down from this collection. The reflection of the gold in the finish gives this shade such an allure. Formula has a good consistency with a easy an application. Though due to the shimmer and metallic finish it tends to want to show brush strokes if you layer while the coats are still wet. Shown in two coats and sealed with a glossy topcoat. 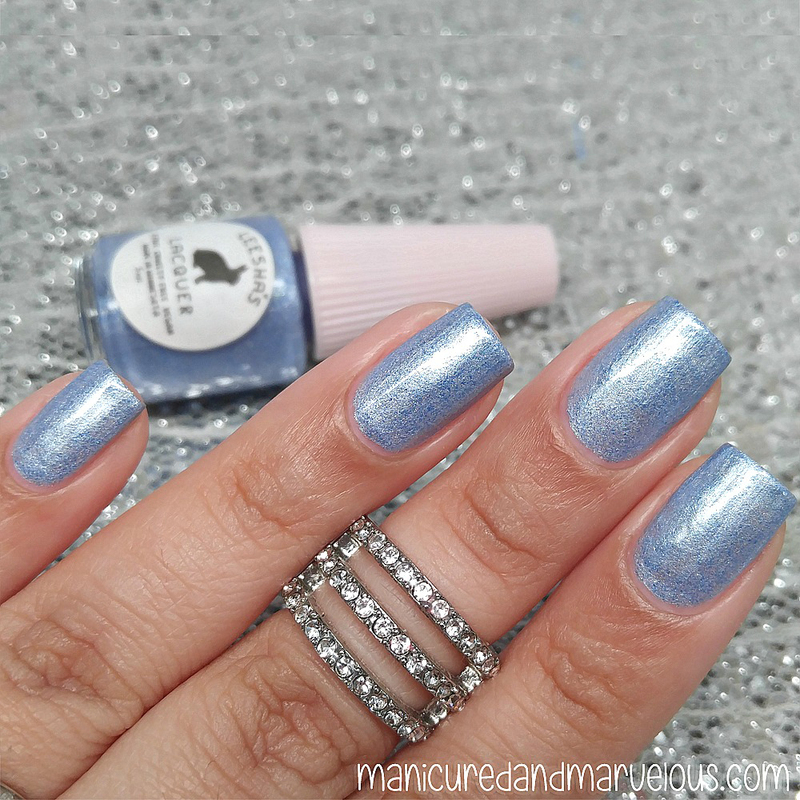 Celestial Coast can be described as a metallic blue with blue specks and a slight shimmer. There's nothing like a great blue to make you stop feeling blue. 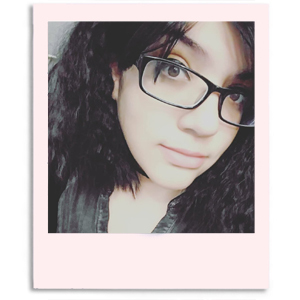 There I go being a cheese-ball again, haha. But I love the look of this shade on the nail, definitely feels the most metallic out of the bunch. The formula on this has a smooth, but sheer application that does require some layering. Because of the heavy metallic undertone, it's best to wait until it's completely dry before adding the next coat otherwise brush strokes will be visible. Shown in two-three coats with topcoat. Agate Shores can be described as a metallic pink with purple specks and a slight shimmer. Definitely the 'girly' delicate soft shade of the bunch. Doesn't this feel like the kind of shade a princess would wear?! The formula and consistency is on par with the rest of the shades here. Smooth application, but does need some layering for an opaque finish. Shown in three coats and sealed with a glossy topcoat. Magmatic can be described as a metallic magma polish containing darker orange speckles and a slight sparkle shine. You guys know me, I don't like normally like an orange shade against my skin complexion, but... I am beyond loving this one in particular. I think the contrast between the base and the darker speckles really give it such definition, it's hard to resist loving it. The formula had a smooth application and really opaque coats. It barely needed a second coat to cover up any sheer patches. Shown in two coats and a glossy topcoat. Overall this collection was such a pleasant surprise for someone like me who doesn't normally fall in love with shimmer polishes. Any polish that can turn my opinion around on a finish has just won my heart and these four do such a solid job on that. I love the ease of the applications without having to worry about brush strokes (which is actually a polish pet peeve of mine). I definitely recommend checking out Moss Grown or Magmatic as these easily have my vote for must-haves. But tell me guys, which ones stole your heart? Have you tried this indie before or does this collection make you want to give it a try? To recap, the Unearthed Collection by Leesha's Lacquer is now available for purchase individually as well as in a set. Each polish retails for $7.00 for a full-size (12mL) and $4.00 for a mini-size (5mL). The entire collection can be purchased in full-size for $25.00 and in mini-size for $15.00. I dont normally care for these types of finishes either. But Magmatic is very pretty! I love that shimmer, and I'm normally no fan of shimmers either. Gorgeous polishes and swatches. I'm really loving these colors. Those are so beautifully Spring appropriate, I love them all! I hope you feel better soon! I really like Moss Grown. Overall I think the metallic finish looks really pretty in these. Not a fan of metallic finishes, but that orange is lovely. I really loved these shades. Your swatches are beautiful. They have foil kind of finish which is really appealing !! Wow, this is my first introduction to this brand but I really love all of these polishes. I don't have anything like them and they are all so eye-catching!